As of this post, all art from today sent! Well thats one way to start a week! Amazing support during Drawing Request Show unlocking 8 free drawing giveaways. Unbelievable! Apparently whatever I did right on Friday carried over to Monday? Hahaha. 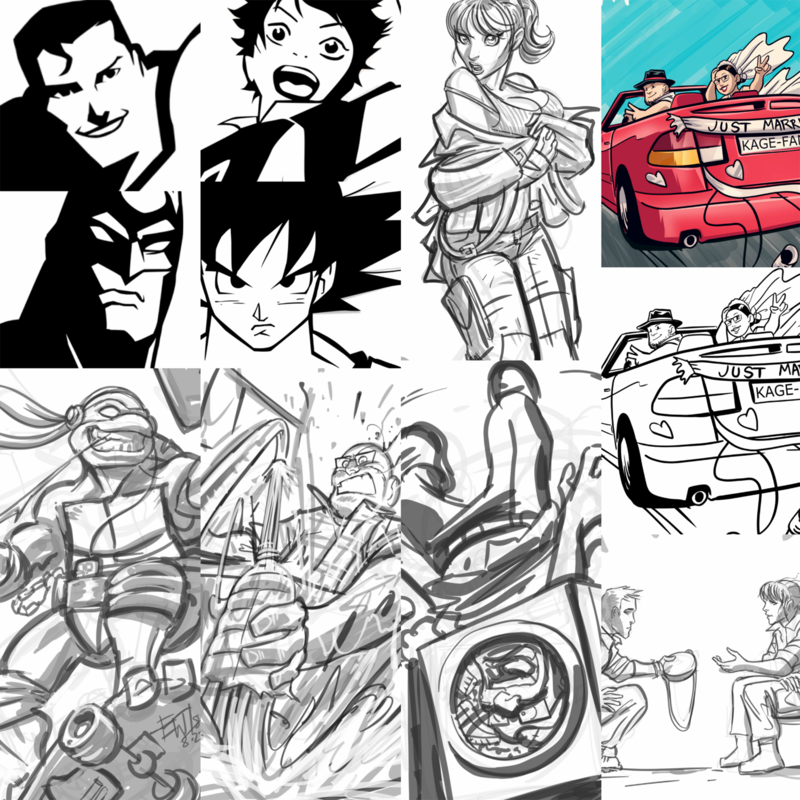 Well we got that squared away and also got some super fun drawings done. Today also saw the start of two new additions! The main thing we were celebrating on stream today was the launch of the Eryck Webb Stream Merch store. People can buy EW brand-related items to support me and the stream. When they do it causes an alert on screen! Thank you so much for a great launch! Hope everyone enjoys their mugs, tees and posters! For the launch, I posted items with my hat logo, my Eryck Webb Graphics logo, and the Drawing Request Show title logo. A special item was the first in what I plan on doing a series of, and that's monthly emote items. Each month will feature a different emote item. Collect them all! For the launch, the item was ewDRAW emote with the word DRAW! in bold letters below. This was provided as a mug, a tee and a 8x10 print as well as I thought it'd be fun for folks to have in their office or creative space to help motivate them. There will be a new item of some kind monthly, and seasonally as time goes on. Coming soon, I will also be doing some sub-themed stuff for those trEW believing crEW members. Thank you! I'm excited about the possibilities of the new store. The second thing we started today was in response to the incredible support I've been getting lately. To offset the support a bit and try to get more drawing in, I changed to a 3 tier system. When we do gratitude time, the more somebody donated the bigger the wheel and prizes they get. So instead of 4+ gratitude spins they get one for their support to try and win them something good.